Are you taking a trip to Ireland and not sure where to go? Consider Killarney Ireland for your European vacation in the Ring of Kerry! Killarney Ireland was never a place I’d dreamed of visiting, in fact, I barely knew it existed before a year ago, but I’m so glad my travels brought me to it because it is a charming little city and a beautiful area. 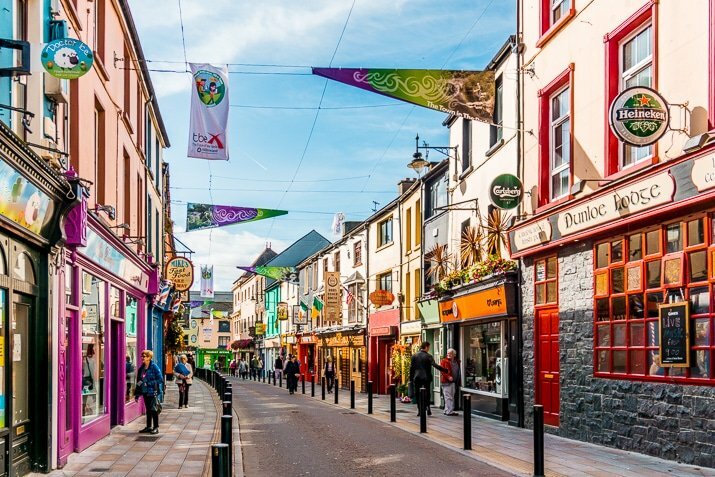 Killarney is in County Kerry in the south of Ireland, and as part of the Ring of Kerry, it is a popular tourist destination and they sure know how to deliver on charm and kindness! Killarney will always hold some fond memories for me, it was a good few days with friends exploring the beautiful area, eating a crap ton of amazing ice cream, dancing in an empty nightclub and good ole fashioned Irish music, dancing, and drinking. Killarney may have a population of around 15,000 people, but I swear it will feel really small by the time you leave, in fact, you might even make some new local friends! While magical places like the Gap of Dunloe are only a few miles away, there is so much to see and do right in Killarney! 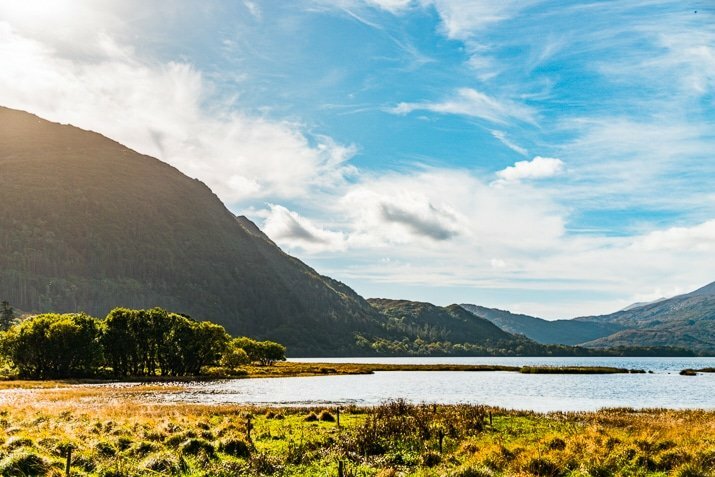 I would say if you’re doing the Ring of Kerry or embarking on an Irish road trip of any kind, you should set aside one or two days just for Killarney. 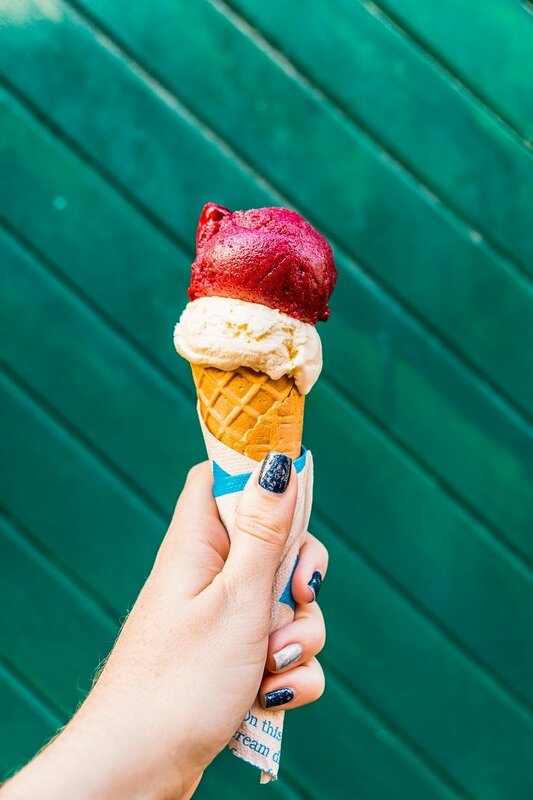 In this post I’ll share the best things to eat, see, and do during your stay here as well as some things to know before visiting Ireland and how to get there! Did you know that the landmass of Ireland is actually two different countries? The Republic of Ireland makes up the majority of the land, but Northern Ireland is a part of the United Kingdom. Killarney is in the Republic of Ireland which uses Euros as it’s currency. Nothern Ireland uses the British Pound. It’s going to rain, at least there’s a 99% chance it will. We were blessed with one overly gorgeous day, only the second this year according to the locals. So bring layers, boots, and a raincoat! Most taxi drivers don’t accept credit cards as a form of payment, so make sure you have cash on you before getting in the car. Ireland’s native language is Irish Gaelic, but only about 30% of the population knows it and only 5% speak it regularly. English is primarily spoken. Ireland uses a 3-pin flat electrical socket, which is the same as the UK. You should buy a universal converter on Amazon before you go. Killarney National Park – This was the first National Park in Ireland, founded in 1932 when the Muckross estate was donated to the country. 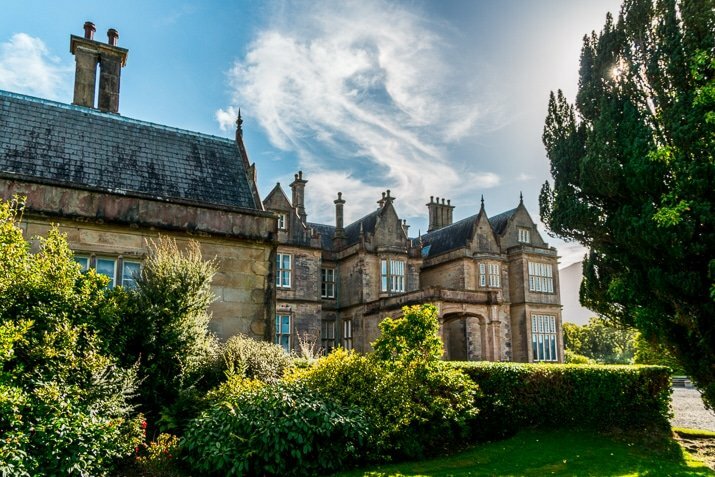 Muckross House – A 19th-century mansion located in Killarney National Park with beautiful gardens, a working farm, and a gift shop! Ross Castle – This 15th-century castle sits on the shores of Lough Leane and was recently restored and opened to visitors, you can also do a boat tour from here. McCarthy Mor Castle Ruins – We call this the secret castle, because unless you know where to look, you’d likely never find it. It sits out behind the Lake Hotel and makes for a lovely visit around sunrise or sunset. Jaunting Car Ride – Unlike a lot of horse-drawn carriages in major cities, these jaunting cars are regulated pretty heavily. This age-old tradition and business can only be passed down through the family, once a family decides not to continue with the service, the license is abolished. Horses only work every 3 days and only work mid-March to mid-October. 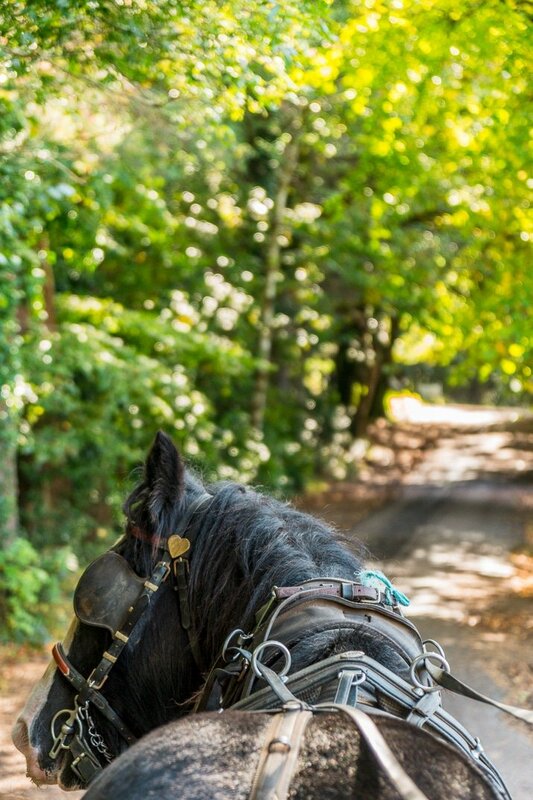 We took a jaunting car from Muckross House to Torc Waterfall and back and got to take in some breathtaking scenery and wildlife in the national park. It costs about 40 Euros for the trip. Torc Waterfall – This waterfall sits just a couple minutes walk back from the road. There’s a car park right near it or you can walk or take a jaunting car through the national park to get to it. City Centre – The center of town is filled with brightly colored and adorable shops and restaurants! 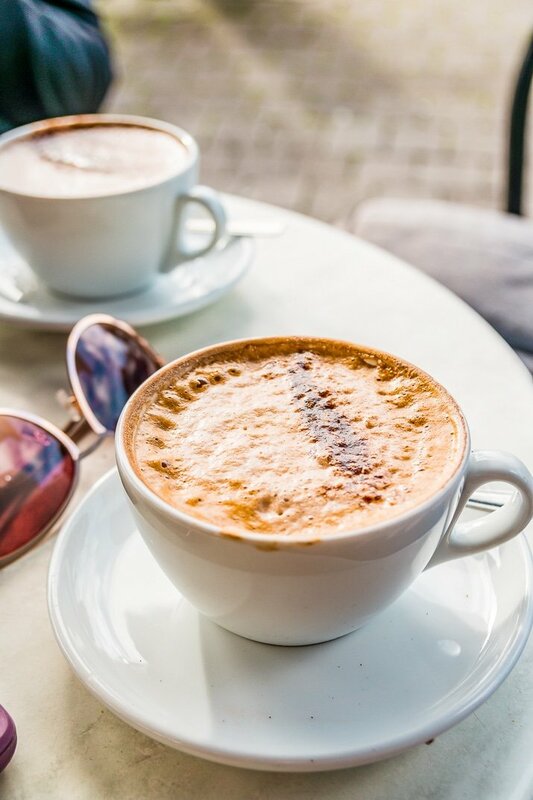 There’s plenty to do if you want to kill an afternoon shopping or grabbing bites to eat between exploring the countryside! 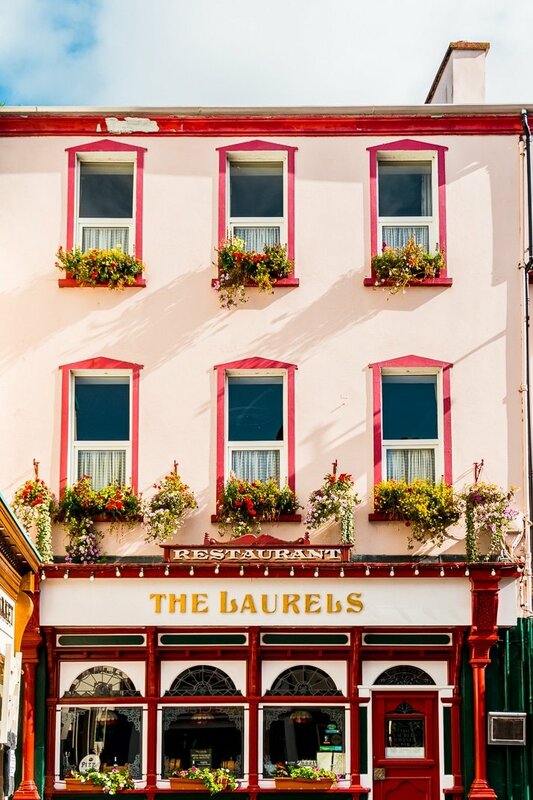 Check out the list of my favorite places to eat and drink in Killarney below! Lir Cafe – Said to have one of the best hot chocolates in Ireland, this little cafe serves up a great selection of drinks and light bites. Murphy’s Ice Cream – This might just be some of the best ice cream I’ve ever had, in fact, I know it is! Gin ice cream, sticky toffee pudding sundaes, seriously, this place is amazing! So amazing that we went here 5 times during our 4 days in the town! Quinlan’s – Made famous by their fish and chips, but personally, I’ve had better. Instead, I highly recommend going for the fish cakes, I don’t really like fish, but these were so good! Flavorful and CHEAP! Make sure to order some onion rings too! The Porterhouse – This seems to be the top spot to go for dinner, so I would highly recommend making a reservation or going early or late to avoid a long wait. I highly recommend the lamb and fish! Noelle’s – A cute little cafe just off the main street in the city centre, you’ll love this cafe’s cool and relaxed vibe and there’s a vintage record store upstairs. I highly recommend the pancakes and freshly squeezed juices. 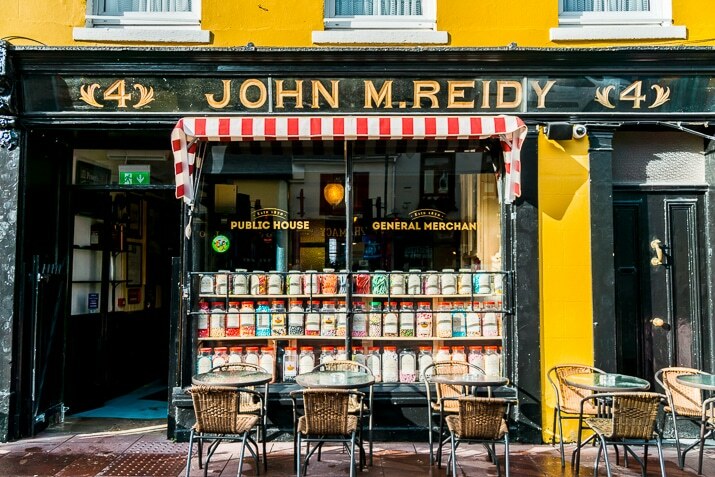 John M. Reidy’s – This might be one of my favorite pubs I’ve ever been to! A candy store and bakery by day, this place turns into four different bars at night, one of them an open-air courtyard. The cocktails are absolutely divine and my friends were raving about the virgin mojitos too! But it closes at 11:30! The Grand – After Reidy’s closes, be sure to head to The Grand, it’s a pub in the front and a club in the back. 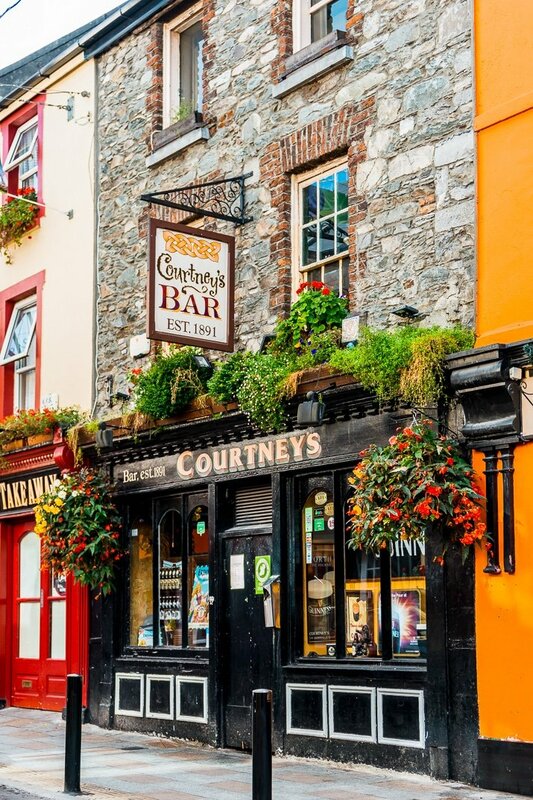 Courtney’s Bar – A pub for an older crowd, if you’re not much for dancing and drinking in packed pubs, this is the place for you! Plus, it’s probably the prettiest pub in the city. The Shire – While both creepy and cheesy, it still might be worth checking out if you’re a Tolkien fan! Here’s a map of all the things in this post for easy reference! By Plane – The closest airport to Killarney is Kerry and then Cork, although your cheaper flight options from the US will likely be to either Shannon or Dublin. By Bus – While this is the way we chose to travel in Ireland, it’s not what I would recommend after experiencing it first hand. Taking a bus from Kerry is one thing, but we took it from Dublin which meant a four-hour ride with no bathroom breaks and the internet caps you at 2 hours. However, it is probably the cheapest option at just $20 each way from Dublin to Killarney with Dublin Coach. By Car – I personally try to avoid driving when in Ireland or the UK, because well, it’s stressful. So while this wouldn’t be my first option, it’s definitely one that many people do. Just note that Ireland is notorious for crazy rental insurances that you don’t find out about until after you get to the counter. From what I gathered from friends who went this route, they also put a large hold on your card for damages, so make sure your card has a large line of credit, the holds of my friends were between $1500.00 and $5000.00. By Train – A few of my friends took the train to Killarney Ireland and absolutely loved it, I love traveling by train and probably should have looked into this option a little more prior to going. The train goes all over Ireland and you can check out destinations and rates on Irish Rail. We loved Killarney as well, Rebecca! It’s a lovely little town indeed. Have you visited the Killarney Brewery? The beer is quite nice and the pizzas from their wood fired oven are delicious! We enjoyed Muckross House and its gorgeous garden as well, but Muckross Abbey is worth a visit too!